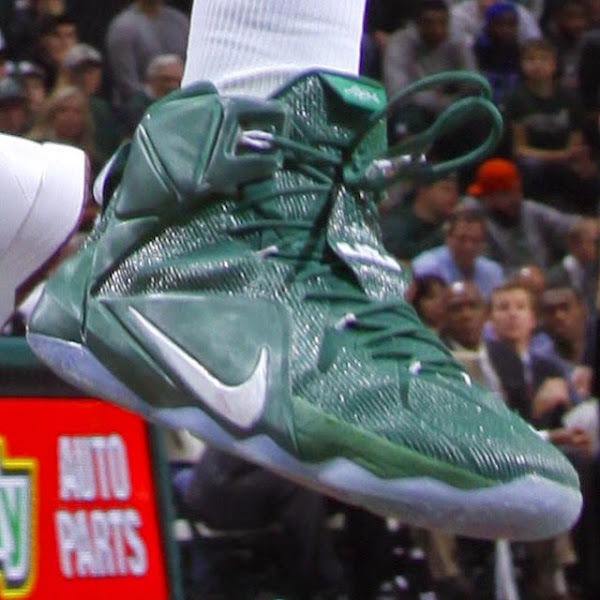 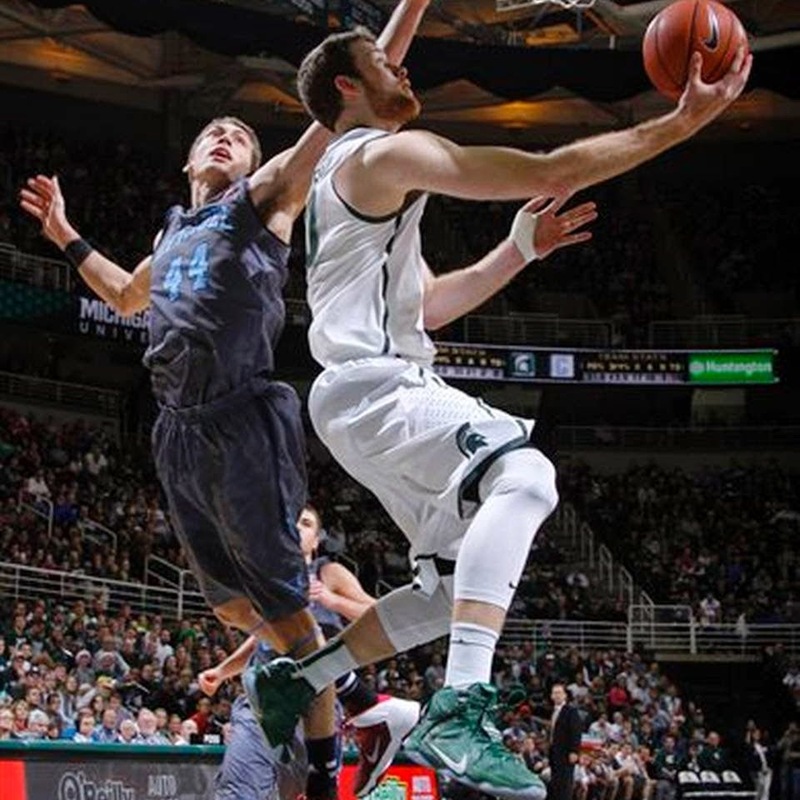 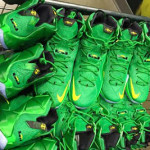 It was last season when the Michigan State Spartans were outfitted with Nike LeBron shoes for the first time with the faded Green and White LeBron 11 PEs. 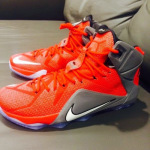 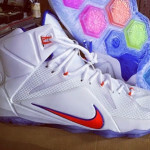 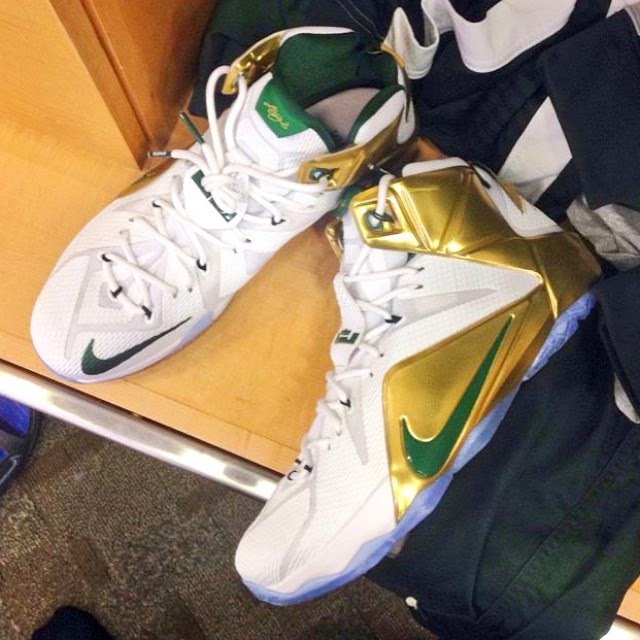 This year, the Spartans received two different colorways of the LeBron 12. 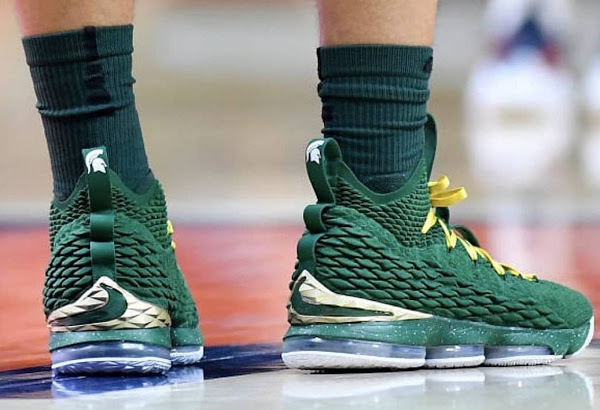 One of them uses the Michigan St. native Green with Silver details, but the other one looks more like the classic St. Vincent – St. Mary make up with White, Green and Gold. 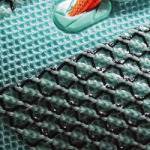 The Spartans have already used that Green pair, pictured below, let’s wait and see if they decide to lace up the other pair too.